New Year's is approaching and we want to help you manifest your best year yet- so we teamed up with Paradigm Shift Sonoma to help you write a killer manifestation statement that will be sure to bring you everything you want in 2018! 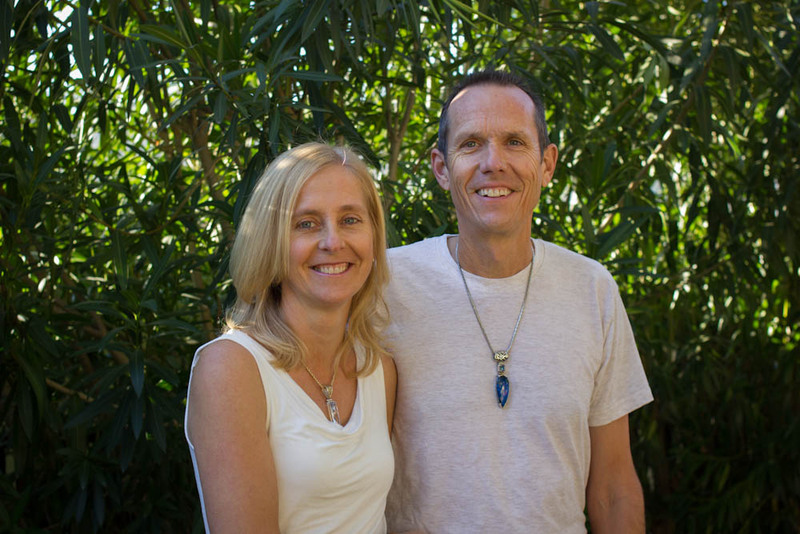 Amelia and Bob of AB Creations are proud to bring energetic healing to wine country with Paradigm Shift Sonoma. As a team, they offer a variety of services from private sessions, to group classes and teachings. Amelia has been studying healing practices since 1988 across the techniques of Shiatsu, Reiki, Transformational breathwork, Feng Shui, Bio-Energetics, EMF Balancing, Interlight Art, Matrix Energetics, The Reconnection, Meditation & Yoga. Now, she and Bob specialize in what they like to call "repatterning"- a technique that involves breaking old patterns and replacing them with new ones. Everything in life stems from a pattern of some kind (they call us creatures of habit for a reason)- whether that be physical, psychological, or emotional. The things in your life that aren't working for you are the result of an old pattern that you created for any number of reasons. You may have inherited that pattern from your family, or used it as a protective mechanism at some point in your life. Either way- if it is no longer serving you, it is essential that you rid yourself of that pattern before you try to replace it with a new one. In Amelia's words, "Trying to fix a problem solely using affirmations and positive thinking can only take you so far. It's like trying to put new clothes into an already full closet- until you clean out the old stuff it will just get more and more full and you will never be able to find what you are looking for." Once you excavate these old patterns, you can replace them with new ones that will better serve you at this point in your life- seems pretty straightforward right? Well, as it turns out, it is pretty difficult to do this on your own- we are all human, after all. The good news is that Amelia and Bob are experts in helping you make a change and shift those patterns that are no longer benefiting your life. Any manifestation statement should always begin by thanking the universe as if what you are manifesting has already happened. (i.e. "Thank you so much for bringing me...."). This starts the statement with an affirmation and feeling of gratitude that the universe has already provided what you are about to ask for. The middle portion of your statement is about whatever it is that you are manifesting. Let's take a new car as an example. Make your description as real and detailed as possible, but make sure that you add an emotional component. How do you feel when you have the car? What does your body feel like when driving the car? Does it bring you freedom and happiness? Write that in. Does it make you feel empowered and confident? Put that in there too. Make this section as thorough as possible while staying true to yourself and the feelings you have surrounding whatever you are manifesting. Never ever end your manifestation statement with a closed door. This is a way of allowing the universe to provide you with something even greater than you are imagining so don't set limits. A great ending statement is "or anything greater that this". Leave things open ended because sometimes you're not shooting high enough! Perhaps the most important thing to consider when crafting a manifestation statement this New Year's is if you have any conflict about what you are asking for. In Amelia's words, "The desire must be so clear and real that there are no contrary ideas or images when you talk about it." This means that there isn't the slightest feeling of doubt that you want and deserve that new car. This means that you can't have questions about whether or not it is time to bring your manifestation into your life. The key for successful manifestation statements is certainty in what you are asking for. As we said before, we are all human- there will be doubts that creep in. Chances are, Amelia says, that these are a result of an old pattern we are holding onto! So before you write your manifestation statement, let Amelia and Bob clear the path for you to manifest your most abundant year yet. You can contact them via email at barakamelia@yahoo.com to schedule an appointment, and find more on their website here. We are wishing all of you a prosperous and abundant 2018. Happy manifesting!